Breadalbane Academy Parent Council (BAPC) is pleased to hear that Pitlochry High School is no longer threatened with closure. We congratulate Pitlochry Parent Council for its successful campaign. Nevertheless, our concerns about the process which led us to this point remain. The council still has not properly engaged with Breadalbane Academy parents, despite the fact that all options under review will have a material impact on the school’s statutory status and its ability to provide a high standard of education for all pupils in Highland Perthshire. This is a highly unsatisfactory state of affairs which runs contrary to national and council policy. However, BAPC is happy to see that the proposed review of senior-phase provision will have as its basis the assumption that its outcome must not have a detrimental impact on either Pitlochry High School or Breadalbane Academy (§ 2.35). We have asked Perth and Kinross Council (PKC) to confirm that this is the case. Since BAPC became aware of the potential impact of the PKC Estates Review on our school, our message to all officials and councillors has been simply to ask what is best for all Highland Perthshire children. We’re very happy that PKC has listened to our message and is now committed to extensive community consultation across Highland Perthshire. We’re also extremely happy to see the terms of reference that PKC has set for the review. We welcome the opportunity for the “enhancement” of our current offering the review seems to envision. Anything that helps Breadalbane Academy’s skilled and talented education staff offer an even broader and more diverse curriculum, on site and at the school, is good and positive. We have requested that PKC and all councillors note that any loss of pupils would leave an already expensive and only partially occupied PPP-building even more under capacity. 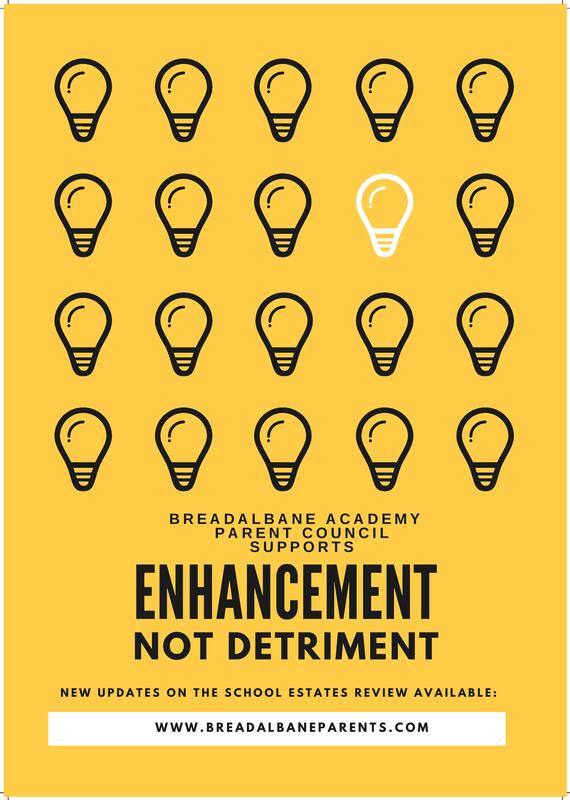 Year on year, BA continues to improve and we welcome support from PKC and our local councilors in finding even more ways to use the great facilities and talent already available at Breadalbane Academy. Once again we congratulate Pitlochry Parent Council on an excellent campaign to stop the closure of their school. And we welcome PKC’s acknowledgement that what is best for ALL Highland Perthshire children is for funding to be spent on enhancing the already excellent senior phase.